Fantasy football is enjoyed by millions of people around the world each fall. You draft your team, manage the players and compete against your friends each week for points based on how well pro athletes do on the field. Well, three Western Michigan University Bronco Band alumni have taken this concept to the band world. Starting this spring you can draft different pieces of your favorite Drum Corps and build your ultimate corps to compete against your friends based on the actual results of the DCI corps at their tournaments. Yes, we are serious. We sat down with the three developers to find out more about Fantasy Marching. Meet John Pinkster, Kyle Gulau and Will Alderman. All three were members of the WMU Bronco band drum line and both Pinkster and Gulau marched at Legends Drum and Bugle Corps while Alderman marched Northcoast Academy. Fantasy Marching is a reality-based competition where you are the corps director of your very own world class drum corps. You host auditions in your league, and then participate in the competition season across the country. As real corps do all the work, your fantasy corps acquires points based on actual on field results. So yeah. It’s like fantasy football, but for Drum Corps. You get friends together to create a league - or you can join a public league. You have auditions where you select your corps captions that you’d like to be in your corps. With audition season complete you can look to trade with other players, or grab captions out of the available caption pool. Once the competition season starts, you watch your corps compete across the county and post scores. As scores are posted in the real world, these translate into points in your league. The easy answer: Anyone can play! Really, we’re looking at attracting people that are familiar with the marching activity. We want everyone to get involved in a whole new way with the activity by trying to audition, then build, trade, and play the best possible combination of corps captions with their friends. What are your biggest hurdles moving forward? Since our social media release, a lot of people have mentioned their concerns about the feasibility of our concept with the recent rule changes at DCI. We’re keeping our eyes open for the official word because obviously the changes they make will affect how our app will operate and pull in data. We’re designing and building the app from ground up in our free time. We’re excited to do it and it’s been an awesome project so far, but getting the word out and trying to create a successful, sustainable, business will be our biggest challenge. The three of us have been working on various side projects and we’d always been interested in creating some sort of app. With all of us having experience in the marching activity through marching and teaching, it just seemed like a good fit. Our motivation came from some late night discussions about the rise of sport analytics and fantasy sports over recent years. The marching activity is notoriously misunderstood by the general public because we have judges that determine the final score and no true “head-to-head” competition. Recently though, NCAA created the college football playoff committee. They literally put together a group of judges to decide who would make “finals”. We thought it was interesting that football, the most popular sport in the country, suddenly shifted to a system of judges to determine top groups. So we looked back at the marching activity and started to wonder why we didn’t have a popular outlet for “band stats”. Why is it that I know how many times Tom Brady has won in the state of Colorado when it’s snowing during the playoffs? But I don’t know how many times the corp that posts the best score in Allentown goes on to win finals? After talking in circles around these concepts (and others!) we decided that we wanted to see our activity in a similar light that other professional sports enjoy. The best way to try and prove that concept would be creating a game that’s driven off the data and trends of the activity in real time. The team is looking to launch everything April 14th of this year! 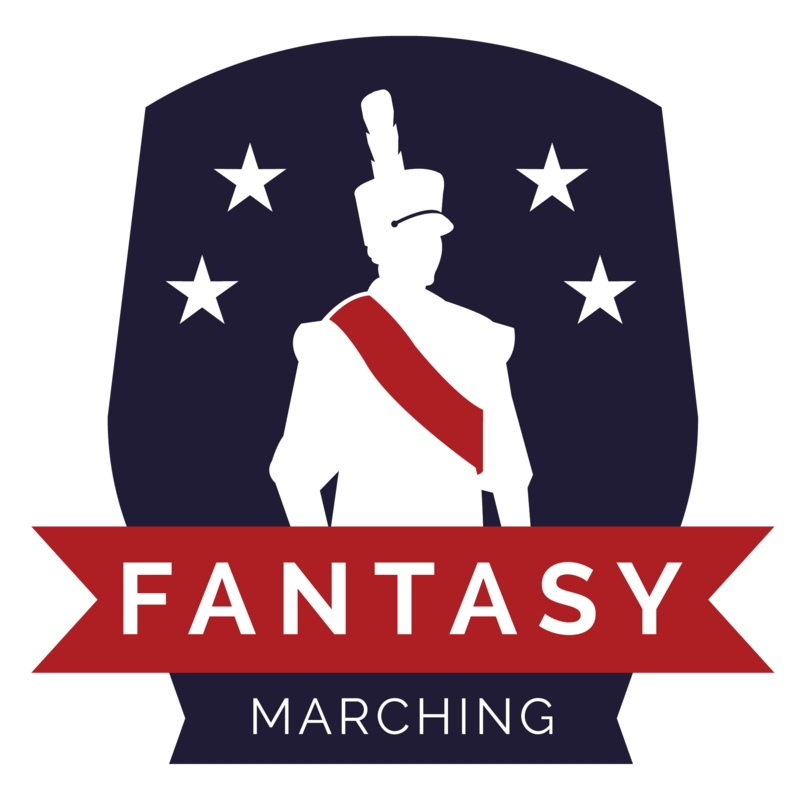 For more info on Fantasy Marching click here.